Auto accident injury law is personal injury law as it relates to auto, car, motorcycle, truck, bus and any other type of negligence involving motor vehicles. It is distinct from other types of personal injury for two main reasons. First, there is an extensive and mandated automobile insurance system in California. This means that when a accident injury occurs in the context of an auto accident, the victim is most likely going to attempt recovery directly from an insurance company rather than directly from an individual or entity. Second, auto accidents occur in the context of the California Motor Vehicle Code, so a particular set of laws are available to instruct us on the liability issue for automobile accidents beyond common law negligence concepts. Auto accident injury law can be seen as a unique and separate field from other types of accident injury law. It is therefore important for victims of auto accidents to seek a professional personal injury attorney who has a background and focus on dealing with car accident injury cases. A car accident lawyer with experience in auto accident injury will have a much better idea about how the insurance company will value your case and how a jury will value your case. This is advantageous not only in litigation but also in the pre-litigation claims process because it helps victims assess risks and rewards when determining the fair value of a settlement. An attorney with experience in motor vehicle accidents will also know how to quickly assess liability and discover policy limits of the responsible party for the motor vehicle collision. A car accident lawyer can therefore quickly evaluate a claim and give the client intelligent answers to tough questions very early on in the claim without having to turn to extensive research or wait and see tactics for gathering information. Get An Auto Accident Injury Law Attorney On The Phone Today! If you or a loved family member or friend has been involved in any type of motor vehicle accident or involved in numerous bad car accidents on the roads of Santa Ana, Orange, Anaheim, Orange County California where they have sustained an injury. Contact an Auto Accident Law Firm to get a proper evaluation of your legal situation. When you call us at 1 (714) 265- 7526, - Personal Injury Claims attorney Alexander Napolin will personally come to the phone to consult with you for free regarding your case. All consultations are completely confidential and obligation free, meaning there is no pressure to hire Mr. Napolin for your case. And, if you choose to hire Mr. Napolin to pursue your car accident injury claim against the insurance company, you pay no attorneys fees up front. All cases are taken on a contingency fee basis, which means that you only pay attorneys fees to Mr. Napolin at the end of your case if you recover the compensation for your Auto Accident Injury Claims. There is no reason not to call when consultations are completely free. Call today and Mr. Napolin will come to the phone to discuss your case with you. 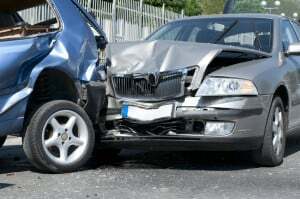 Or, if you prefer, you can fill out a case evaluation form at AutoAccidentLawyerOC.com and Mr. Napolin will give you a telephone call for your free consultation within 12 hours of your submission. 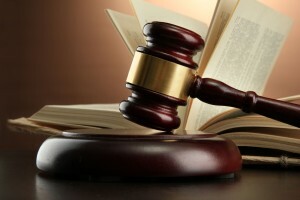 Get the representation you need and the justice that you deserve for your personal injury! Get experienced auto accident injury law attorney Alexander Napolin on the phone today! If you or a loved family member or friend has been injured in an auto accident, no matter how minor, it is always safe to seek the advice of an experienced car accident injury help lawyer. For Car Accident Personal Injury help in Orange County, Santa Ana, Orange, Garden Grove, Irvine, Costa Mesa, Fullerton, Brea, La Habra, and Anaheim.